Scratchy audio of the police radio conversation has been uploaded to a Minnesota website that monitors the state’s police scanners and posts online. News A PROSECUTOR will decide by the end of the year if the cop who killed Justine Damond will be charged after an investigation into her death was handed over. News HUNDREDS of mourners are expected to gather at a public memorial for former Sydney woman Justine Ruszczyk Damond, who was killed by a US police officer. News JUSTINE Damond’s killer cop doesn’t have to talk about why he shot her — but if he wants to keep his job, he will be compelled. Crime THE policeman who shot and killed Justine Damond spent just seven months in training before he joined the force, it has been revealed. 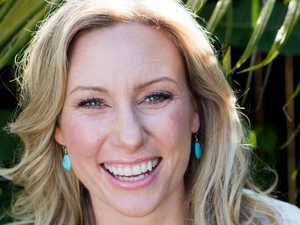 Crime THE Chief of Minneapolis Police has quit, saying the killing of Australian Justine Damond has caused her to step aside for a 'fresh set of leadership eyes'.